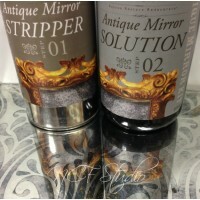 The Amy Howard At Home Mirror Antiquing Kit includes the products you need to give the patina of age to mirrored glass. Use this kit in tandem with the Amy Howard At Home Toscana Finish Kit to give a framed mirror the look of an Old World antique. Add antique mirror insets to a vanity or chest. Choo.. The Amy Howard at Home® Antique Mirror Solution™ allows you to give the patina of age to mirrored glass. Use the Antique Mirror Solution to give a framed mirror the look of an Old World antique. You can also use the Antique Mirror Solution on mirror insets to a vanity or chest! 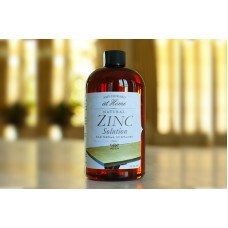 Rescue one of the mi..
Amy Howard At Home Zinc Antiquing Solution enables you to give metal the look of aged zinc. 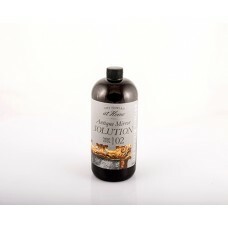 Use the Antiquing Solution to oxidize and age the metal, then follow with an application of Light Wax to buff and seal. Annual maintenance applications of Light Wax are recommended to protect your piece. Take..